I try my best to keep the pantry full stocked, it keeps for a happy husband! Every now & then I get the urge to move away from pre-packaged. I’ve tried all kinds of the homemade types, but without fail III prefers Nestle break & bake. Anyone else in III’s boat?And well, I can’t complain!! It saves me hours of kneading, mixing, and ending the night covered in flour & crossing my fingers that these turn out okay! 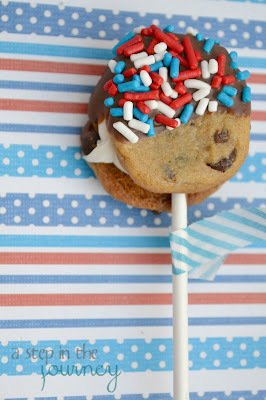 Everything is better on a stick :o) Here is a simple how to, on how you can make one too! 01. Break & Bake according to package instructions. 02. Allow to cool on a cute cooling rack if you have one…I tend to bake my cookies a minute or two less than suggested. Then I use a spatchula and pat them down on top. They tend to turn out perfectly! 02b. 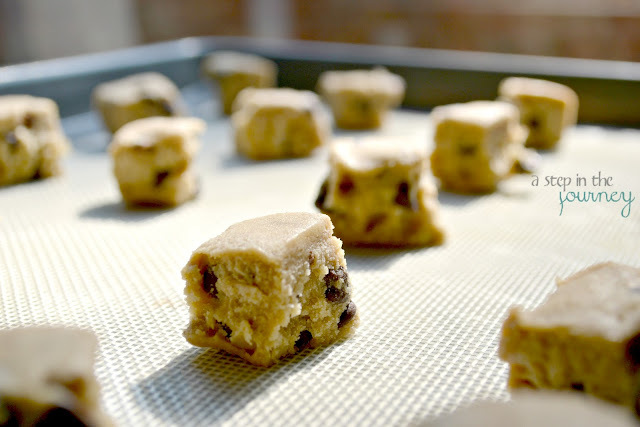 While your cookies are cooling work on melting your chocolate chips (about 1/3 of a bag) along with about 1/3 of a bar of Gulf Wax…this will make the chocolate firm up & hold. 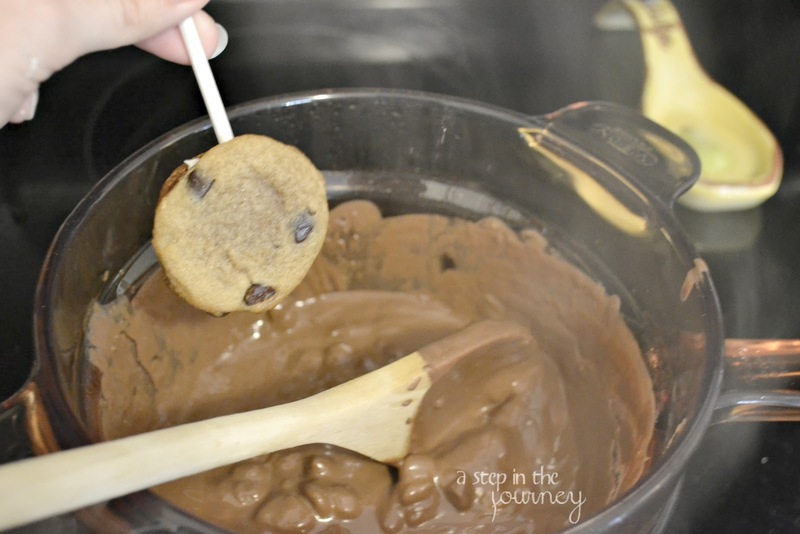 I used a double boiler, but you could also just microwave! 03. When COMPLETELY cooled, flip over half of your batch & add a dollop of cream cheese icing! 04. 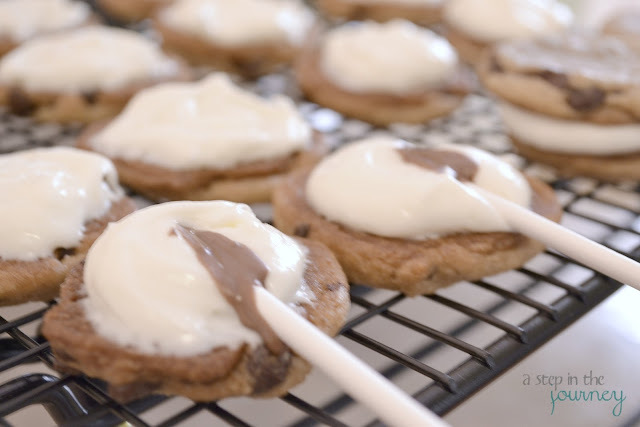 Dip one end of your cookie pop stick into the melted chocolate & then lay it on top of your cream cheese icing dollop. 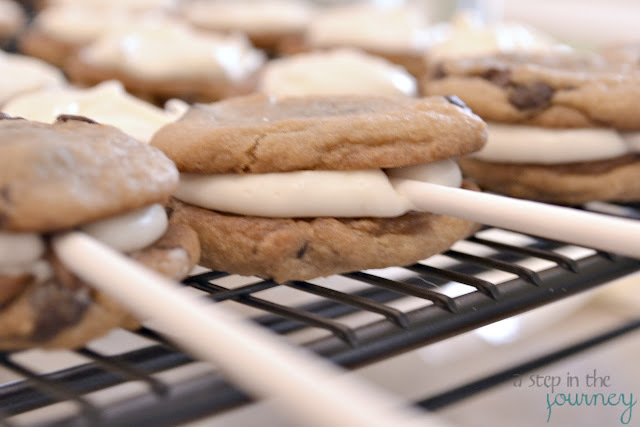 This will help in holding your cookie pop together. Trust me. 05. 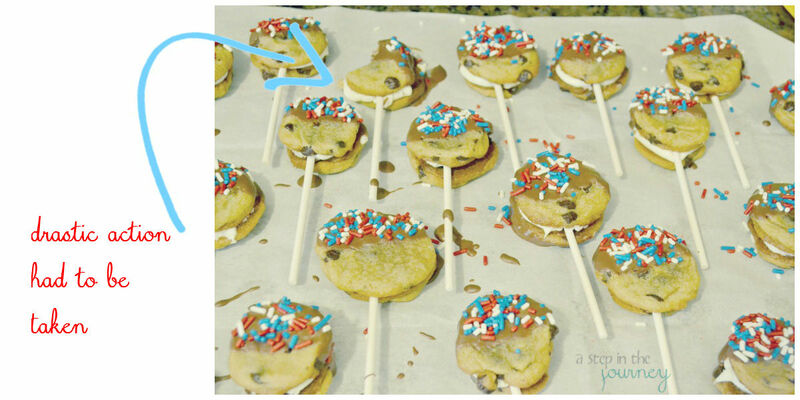 Place another cookie of comparable size on top & press slightly. 06. 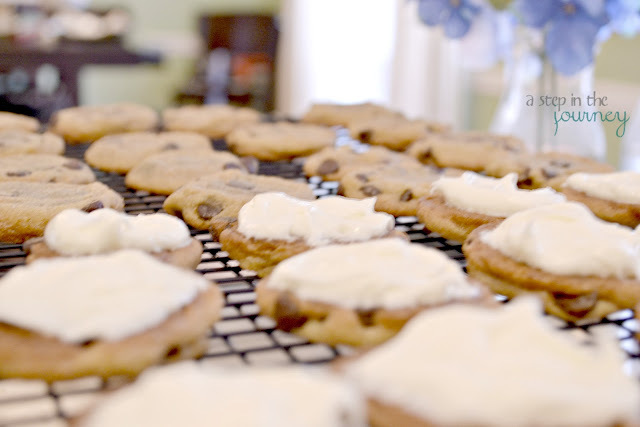 After you have made all of your cookie sandwiches, I would suggest placing them in the fridge for about 30 minutes to firm up. 07. Now it’s time to dip! I chose to only dip about half of each cookie pop into the chocolate. 09a. 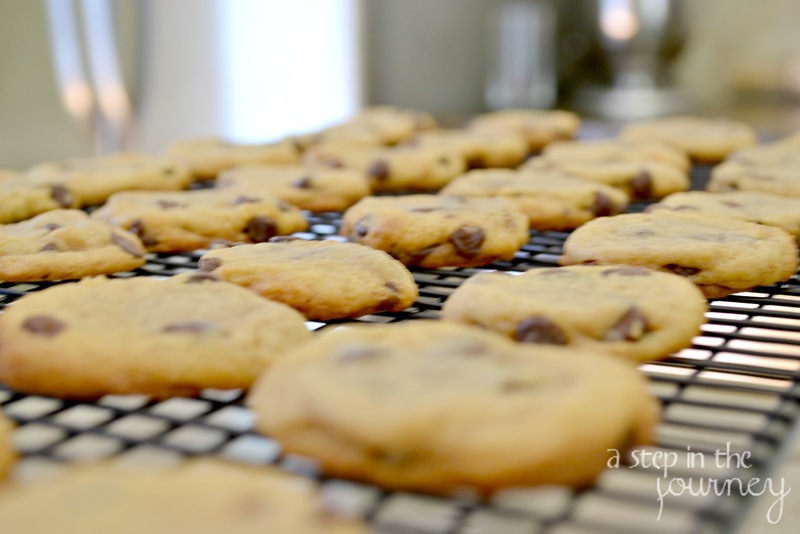 Any cookies that fall apart or don’t look up for consumers…well you can see the action I decided to take! & added a little washi tape (or ribbon) to jazz the sticks up. 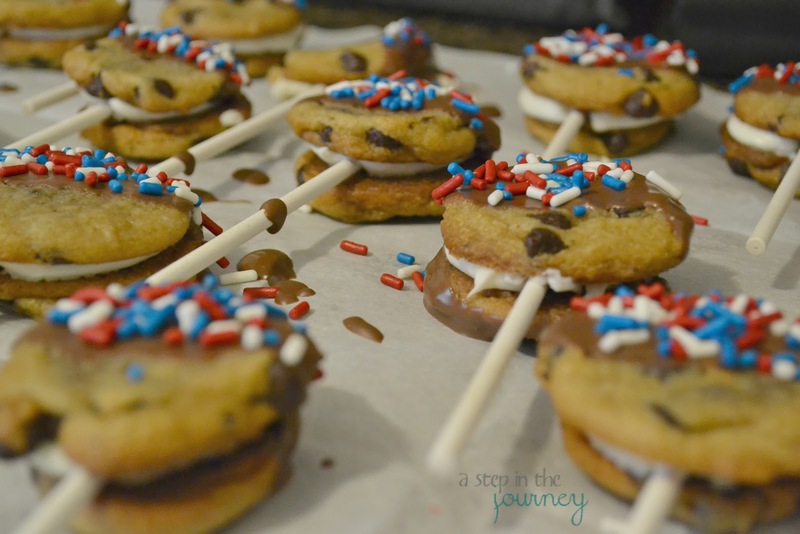 Now you are ready to celebrate the USofA!! 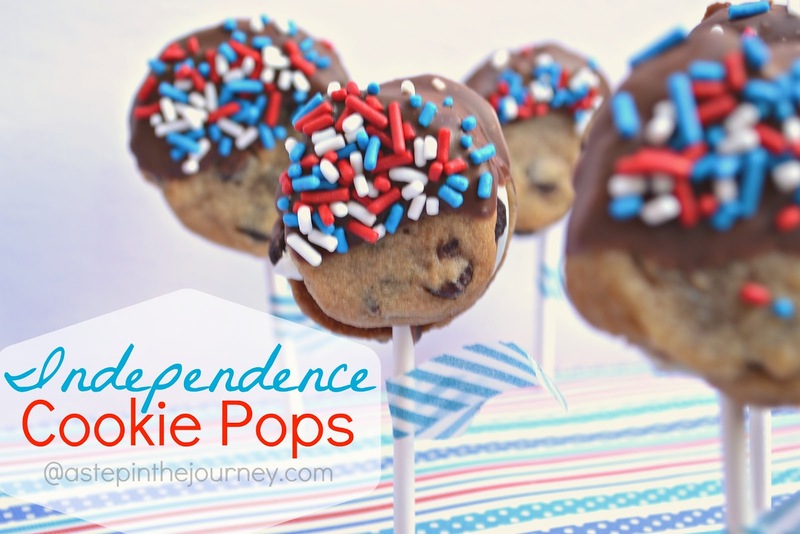 Jessi @ Practically Functional recently posted…25 Last Minute Fourth Of July Ideas! Your tutorial makes those look sooo yummy! I've got this linked to my post over at the Blog Guidebook as well today – Happy 4th to you!!! 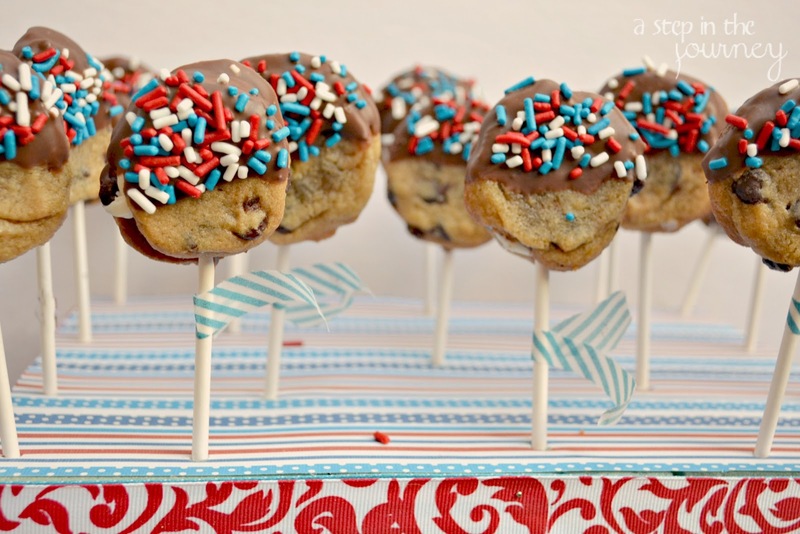 This sounds like a fantastic recipe and looks so festive! 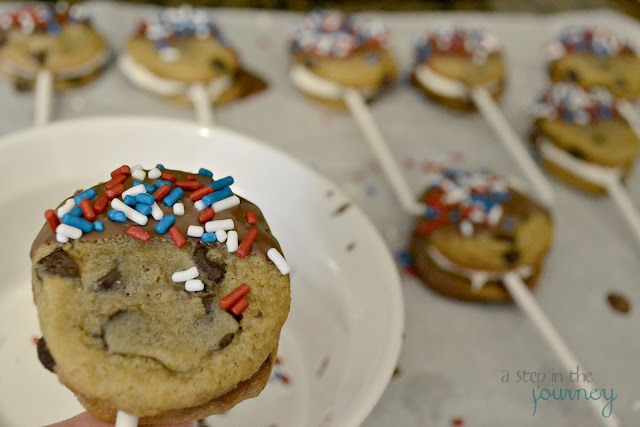 I hope you'll add these to my Patriotic Project Parade going on now through July 4th!